Technology has never been more important to business, as artificial intelligence and machine learning promise to generate billions in productivity enhancements. But today’s relentlessly rapid pace of change means companies must work collaboratively to realize this transformation – either by partnering with tech start-ups or by creating dedicated innovation labs. 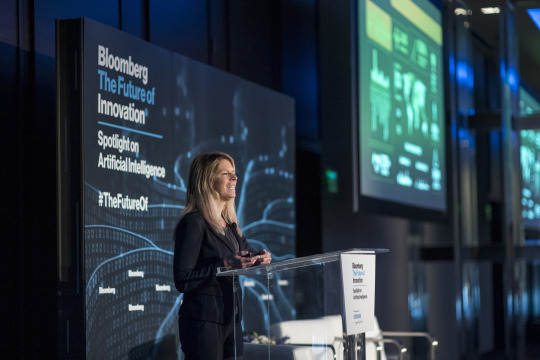 Bloomberg LIVE’s The Future of Innovation: Spotlight on Artificial Intelligence, held in San Francisco on June 22, brought together leaders who are actively engaged in just such collaboration to explore how the AI revolution is accelerating innovation for business. The Future of Innovation: Spotlight on Artificial Intelligence gathered business leaders, technologists, entrepreneurs and investors in San Francisco on June 22, 2017. 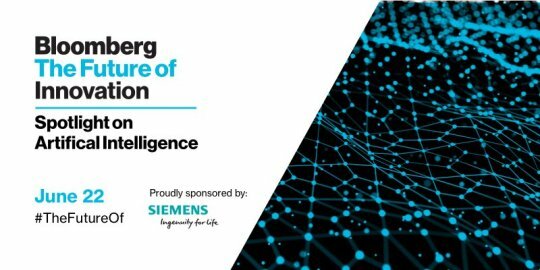 Featured speakers included distinguished computer scientists from Microsoft and Salesforce, three top AI start-up executives and the co-managing partner of the leading AI venture capital firm. Bloomberg journalists including Tom Giles, Executive Editor for Global Technology, and Emily Chang, anchor and executive producer of the daily San Francisco-based news show Bloomberg Technology, led the conversations. The gathering continued a series of future-focused programs sponsored by Siemens, a global leader in automation and digitization. Lak Ananth, CEO and Managing partner of next47, a unit of Siemens that develops innovative new technologies – the name is a play on the year Siemens was founded, 1847 –welcomed the group with a look at the significant role start-ups will play in the future of artificial intelligence. 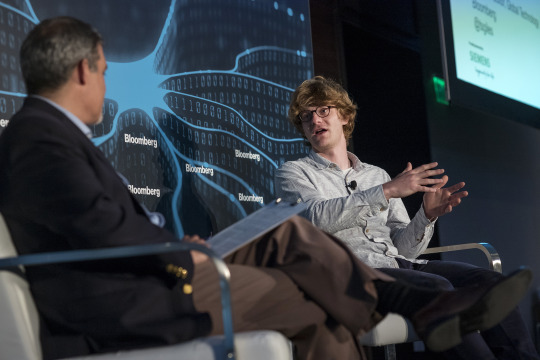 Salesforce Chief Scientist Richard Socher sat down with Bloomberg’s executive editor for global technology Tom Giles. Socher founded MetaMind, a start-up acquired by Salesforce in 2016. MetaMind’s deep learning AI platform analyzes, labels and makes predictions on image and text data for business decision-making. 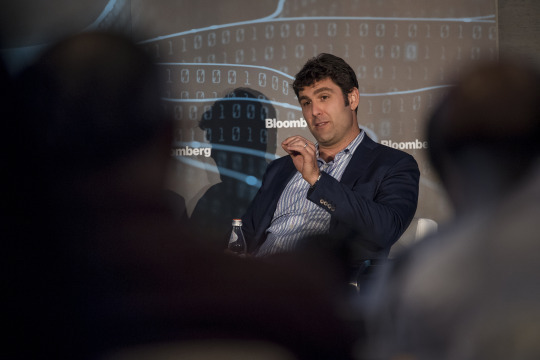 “In terms of AI, what we’ve seen is that consumers are getting used to it,” Socher said. “The biggest players in AI right now are all consumer-based companies,” he explained – companies like Facebook and Google who have spent billions in AI research and development. The result is that intelligent user experiences have come to be the expectation, he added. Auto-complete or suggested answers in a Google search is one example. “When they now come to an e-commerce site, they want to type in an obscure product name” and have the same experience, Socher said. “People want to have a personalized experience.” His prediction: consumer AI and enterprise AI will merge – and that’s why he’s excited to be at Salesforce. In his current job, “we’re bringing those technologies into the enterprise,” he said. 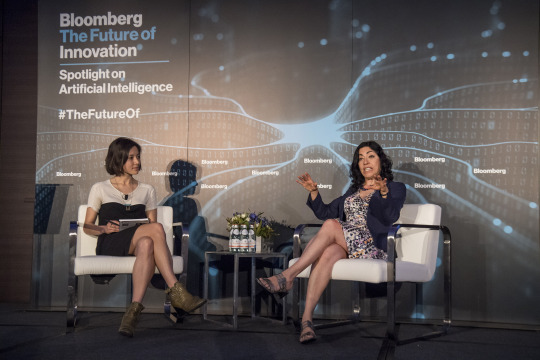 Distinguished scientist Jennifer Chayes, managing director and co-founder of Microsoft Research New England and New York, pointed out a new business need: ensuring that an algorithm helping them make decisions is fair. Most AI systems work by getting “trained” on events and their outcomes with massive data sets. But if there is hidden bias in the data set, then there will be bias in AI system too. Chayes’s labs work across disciplines to find solutions. “We have machine learning people working with anthropologists and legal scholars to figure out how to make these systems fairer and more transparent,” she noted. The AI used by cyber security start-up Darktrace, said CEO Nicole Eagan, uses a different approach than the outside-in learning from data sets most AI systems employ. That’s because most cyber attacks use novel software, she said – so training a system on past events wouldn’t work. Darktrace solves that problem by training its AI on real-time input from the data network itself. Working with a group that included former members of British intelligence, the company developed machine learning that understands what’s normal for the network “like the human immune system understands what’s normal for the body,” Eagan said. It can then create “digital antibodies” to respond to invaders. “There’s an endless amount of unknown attacks out there,” Eagan added – and right now they’re not technically sophisticated, she said, even though they can do a lot of damage. But “what happens when the day comes when the attackers use artificial intelligence itself as part of the attack?” Using AI for defense can position companies to meet that threat. 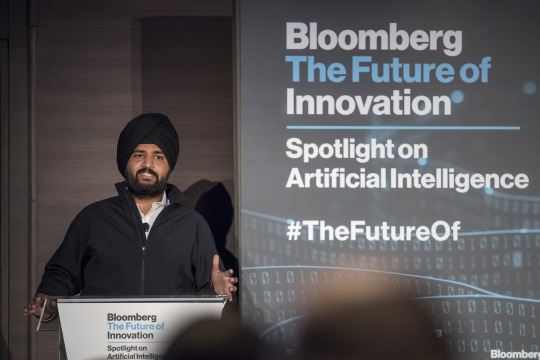 Gurjeet Singh, co-founder and executive chairman of AI startup Ayasdi, doesn’t teach machines to understand the world around them. His company focuses on a different problem: making sure end-users can benefit from AI without having to be data science experts themselves. To do that, his company combines the latest mathematics from academia with distributed systems and user-experience research – all behind the scenes. The resulting tools are easy to implement and save companies money and time by helping identify data that can be safely ignored. 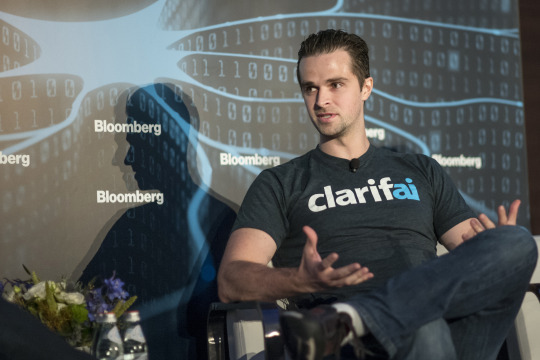 Clarifai, founded by AI expert Matthew Zeiler, is a leader in visual recognition technology. “In a fraction of a second, you can recognize content,” with Clarifai, said Zeiler. The AI lists and categorizes words associated with pictures, makes video searchable, and lets users find something visual similar to what’s in a given picture – or even part of a picture. “We believe artificial intelligence will fundamentally disrupt every single deep industry vertical – from genomics to drug discover to agriculture to earth observation,” said Zachary Bogue, co-managing partner of venture capital fund Data Collective. Nearly a decade ago, Bogue got interested in the finding a way to make sense of the huge data sets that were breaking existing database technologies. Now, “These data sets are so dynamic and so massive they fully exceed human cognition,” he said. Transfer learning – fast becoming AI’s latest buzz-word – will be important to managing that data. Bogue unpacked how it works with a simple example. “A good use case for AI is to look at vibrations coming off heating and ventilation systems in a big building,” he explained. Such an AI system would catch problems well before humans or existing technology could. Then, those learnings can be transferred: “An adjacent area where that’s pretty useful is doing the same type of diagnoses for jet engines,” Bogue said.